Police respond to the Speedway robbery. 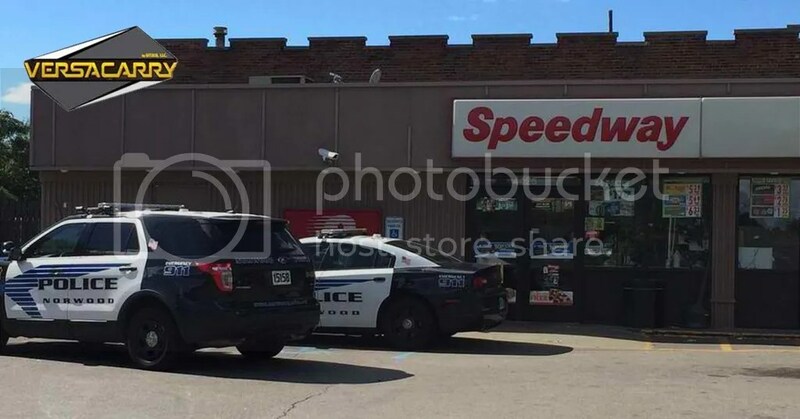 COLLEGE HILL, Ohio – Police arrested a man suspected of robbing a gas station at gunpoint and leading police on a chase Sunday afternoon. Norwood police responded to an armed robbery at the Speedway in the 4400 block of Montgomery Road just after 3 p.m. The robber fled in a blue Buick. Between 20 and 30 minutes later, Cincinnati police spotted the Buick they believed was driven by the robbery and began a low-speed chase into the 1500 block of Hollywood Avenue in College Hill, where the suspect bailed from the vehicle. Police said they used a Taser to stop the suspect.